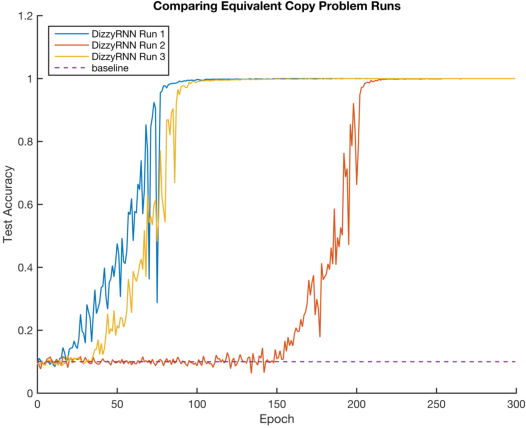 The vanishing and exploding gradient problems are well-studied obstacles that make it difficult for recurrent neural networks to learn long-term time dependencies. 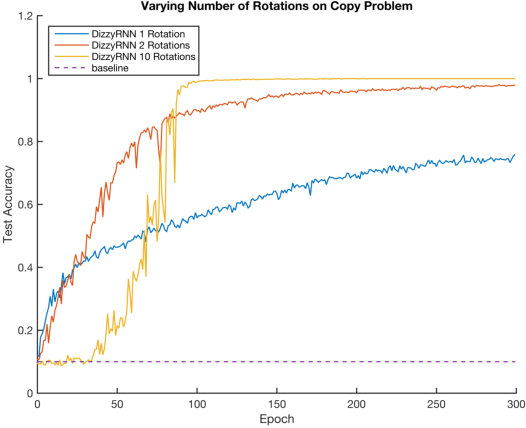 We propose a reparameterization of standard recurrent neural networks to update linear transformations in a provably norm-preserving way through Givens rotations. Additionally, we use the absolute value function as an element-wise non-linearity to preserve the norm of backpropagated signals over the entire network. 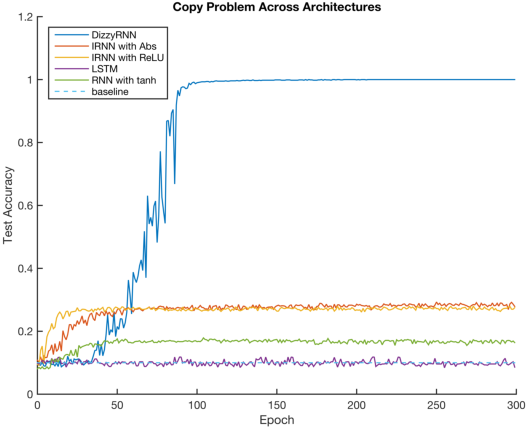 We show that this reparameterization reduces the number of parameters and maintains the same algorithmic complexity as a standard recurrent neural network, while outperforming standard recurrent neural networks with orthogonal initializations and Long Short-Term Memory networks on the copy problem.